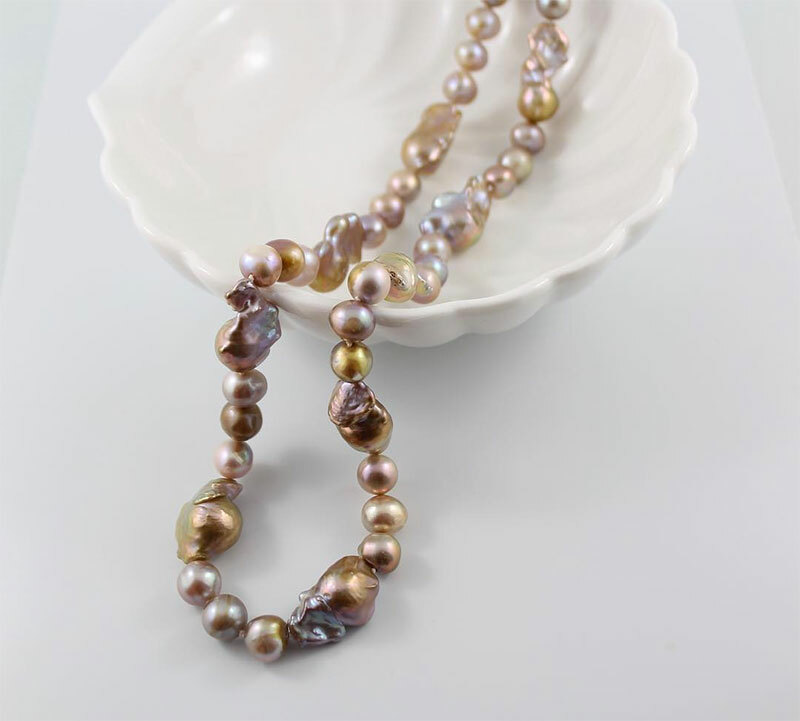 For some unusual pearl and stone jewelry, try the collections of Miriam Haskell Jewelry, unusual pieces, many made from pearl and organic materials in tribal and stone creations that are a cut above most costume jewelry necklace designs. Some pieces have a gypsy flare or even a native Indian costume jewelry feeling, but in fact are intricate creations that incorporate beadwork and the use of semi-precious stones like blue opal, fluorite, aquamarine, and even European glass beads to create imitations of ancient Egyptian and even Etruscan style jewelry. There are pieces that use European filigrees, and incorporate vintage chain, plated in Russian gold to form pieces that are so unique there can be no mistaking Miriam Haskell Jewelry for any other. If you seek retro jewelry or vintage jewelry creations that are delicate and intricate they are not sold through cheap wholesale jewelry outlets but through distinctive shops like Annie Sherman Vintage Jewelry and Antiques Art Collectibles and there are some pieces that go under $100. 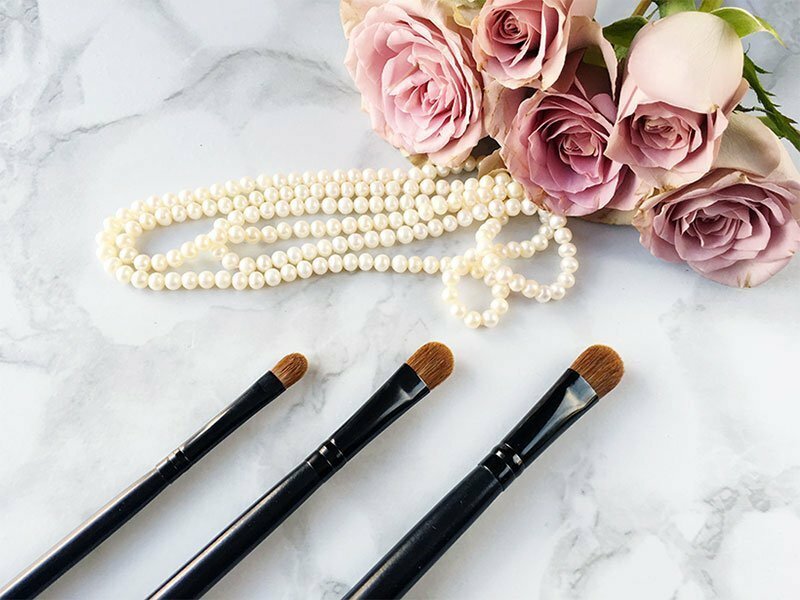 Win Pearl is another pearl jewelry specialist that has items for as little as $30. They specialize in pearl jewelry sets including a multi-strand freshwater pearl necklace and earring sets. 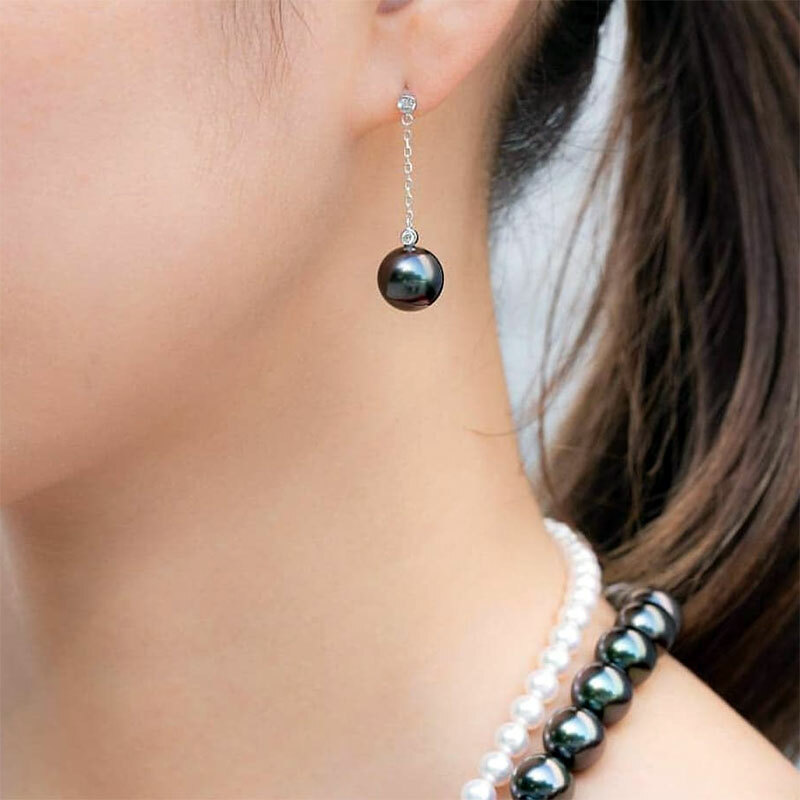 They also have black pearl earrings and pearl bracelet and earring sets with freshwater pearls which can be bought online. For some of the most unusual pearl jewelry creations, there’s Trifari Jewelry that is not ordinarily very cheap. However, there are select pieces through Ruby Lane that go for as little as $28 and one select pearl ring that is exquisite for about $40. In fact, if you seek unusual pearl or rhinestone jewelry bracelet designs, vintage costume jewelry necklaces that are rare and inexpensive, vintage rhinestone jewelry that is unavailable through any manufacturer or regular outlet, or if you need antique vintage jewelry that is from a specific designer or era or vintage silver jewelry that doesn’t cost a fortune, then Ruby Lane and Morning Glory Jewelry are two of the best. For rhinestones, costume pearls, topaz and the vintage jewelry that just isn’t easy to find try Weiss Jewelry which is the most incredible costume necklace designs and vintage jewelry styles for between $30 and several hundred. Again Ruby Lane is the best place to find these unique vintage style jewelry creations at discount costume jewelry prices. Pearl costume jewelry that has a twist of class from the past may be a Weiss brooch jewelry item that is both great as a gift or as collectible jewelry item for yourself. You need to be a little careful with hunting for antique jewelry for sale online because of not all of it real. I’d recommend sticking to places like Ruby Lane who offer authenticated and signed Miriam Haskell vintage jewelry and Weiss Jewelry that you can be sure is real. These pieces are not your average cheap wholesale designer jewelry or items or pieces that come from cheap costume jewelry shops but are exclusive and unique pieces that usually are one of a kind and must be authenticated even if they only cost about $30 or less. The value of art deco antique jewelry is that it has a history. For unique designers, jewelry like the line of Ciner jewelry made in New York in the late 1800’s, Morning Glory Jewelry (based in Albuquerque, New Mexico) has a fine selection at an affordable price. Vintage jewelry online is becoming more and more popular with some wholesale vintage jewelry outlets cropping up, but I still prefer to recommend the places that are smaller and less known that carry unique pieces of antique rhinestone jewelry and pearl creations that have not yet been overpriced by auctions or too many middlemen. Morning Glory Jewelry is the online store for Antique. Some of their fine pieces include designers like Boucher, Carnegie, Ciner, Coro, DeMario, Eugene, DeRosa, Eisenberg, Hobe, Joseff, Juliana, McClelland Barc., Miriam Haskell, Regency, Reja, Rosenstein, Schiaparelli jewelry, Schreiner, Shultz bakelite jewelry, Signed, Staret, Stephen Dweck, Swarovski, Swoboda, Trifari, Vega Maddux, Vendome, Vrba and Weiss. You may also inquire into the availability of vintage Hollycraft jewelry from the 1950’s, although you may also find these exclusive pieces at a few other specialty vintage jewelry shops online. If you’re looking for Hollycraft jewelry, you may find some at Collectors Index where they have a few rhinestone brooches and bracelets. They sell quite quickly, so you have to check their site often. Most Hollycraft jewelry does not have pearls. It’s most famous for the Christmas Tree jewelry, rhinestone bracelets, necklace and earring with multicolor stones. Sassy Classics sometimes has a few Hollycraft jewelry sets, and you can also check out Broad Water Rose Jewels, as well as Jennifer Lynn’s Timeless Jewelry that sells online. Each of these dealers carries a selection of vintage designers jewelry that retail for a variety of price ranges depending on the age, quality and designer popularity. However, many of these creations are truly bargain jewelry findings. There are pieces for $30 just as easily as there are some for $300 or more. But if you want pearl or rhinestone jewelry that’s unusual and one of a kind, vintage jewelry is where it’s at! As noted previously, some of the best rhinestone and pearl jewelry is vintage, like Lisner jewelry, but there are also some newer creations like the kirks folly jewelry that incorporates magical themes into mother of pearl creations with rhinestones and lots of dangling charms. They also have pieces that could work well for avant-garde wedding costume jewelry and select pieces that are fantasy beaded jewelry with a feeling of being like the old collectible costume jewelry that is now sold at Ruby Lane. However, Kirks Folly Jewelry is NEW. But still, it falls into the category of cheap fashion jewelry since it retails for under $40.